with all results of the different genres of the composition. Required are fairy-miniatures with free theme. The Israeli Chess Composition Society is announcing a chess problem composition tourney dedicated to the memory of Theodor Tauber (18.08.1950 – 3.09.2013). Theme: At least one twin which changes the condition of the problem from orthodox to a fairy condition or from one fairy condition to another. Any type of problem is allowed with or without fairy pieces. Judge: Hans Gruber. Closing date: December 31, 2015. A total of 88 problems competed in the tourney, submitted by 31 authors from 17 countries. There were 34 miniatures and 54 Tanagras (up to 5 pieces) and, being the admirer of low-figured tasks I allocated them into separate sections. of the 4th FIDE World Cup in Composing for 2015! I’m very happy to show the results, G-Fairies (PDF, 155KB) by Tadashi Wakashima, available among the others on the bottom of the 4th FIDE World Cup in Composing 2015 page of wfcc.ch website. Thanks a lot to the director of this competition, Aleksey Oganesjan, and to all judges! My sincere congratulations to the winners! About my own problem: Starting the 14th Japanese Sake Tourney in August, 2014, I was exploring Back-To-Back condition being sure that there’re lots of possibility in it. Many of JF’s readers know that now I’ve came to combination of BTB with neutral pieces, but my problem for the 4th FIDE World Cup was composed in the autumn, 2014, and my intention that time was a strategic HS# problem showing as much as possible different BTB effects. You’re very welcome to comment! 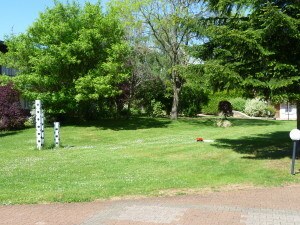 – Julia. I note with great appreciation and satisfaction that among the participants are many of the most famous authors of fairy problems in the world. The dozens of great compositions presented reveal the beauty of the genre HS#. The competition was very strong in both sections and I was very embarrassed when determining the order of the problems to receive prizes, HMs and Commendations. 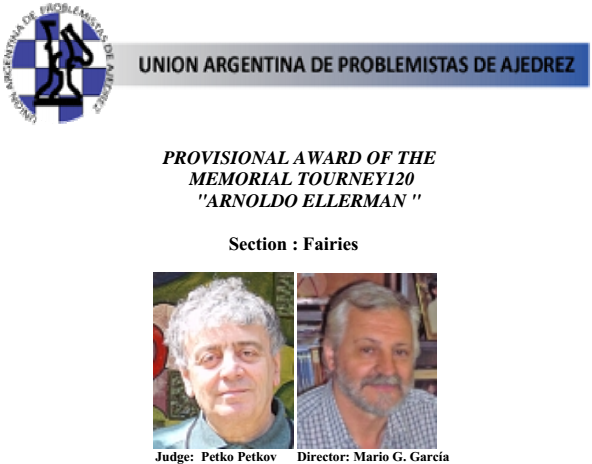 This tournament was announced by the Union of problemists Argentina Chess (UAPA). Participants: Valerio Agostini (Italia), Vito Rallo (Italia), Antonio Garofalo (Italia), Antoly Stёpochkin (Russia), Juraj Lörinc (Slovakia), Karol Mlynka (Slovakia), Daniel Novomesky (Slovakia), Sven Trommler (Germany), Franz Pachl (Germany), Dieter Muller (Germany), Pierre Tritten (France), Hubert Gockel (Germany), Jorge Lois (Argentina), Igor Kochulov (Russia), Vaclav Kotěšovec (Rep. Checa), Lev Grolman (Russia), Kostěj Šoulivý ( Rep. Checa), Gabriele Brunori (Italia). There were 38 problems: 18 composers of 7 countries. After the deadline (25-05-2014), the director sent at the judge all studies without the names of the authors. Theme: All type problems (#/=, H#/H=, S#/S=, HS#/HS= etc.) in 2-4 moves (up to 8 moves for Series and P-Series problems) with the fairy condition Circle SneK. Other fairy pieces and conditions are not allowed. Royal pieces can be used of course. 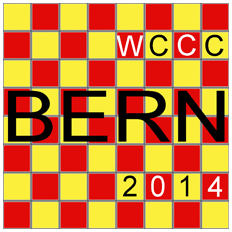 The preliminary version of the booklet of the 57th WCCC and the 38th WCSC. Messigny 2014 by Jérôme AUCLAIR! About the event: Messigny 2014: 08th – 11th of May; the theme for FÉERIQUES / FAIRIES – Directmates, helpmates or selfmates using the Messigny Chess condition and at least one fairy piece. No other fairy condition is allowed.